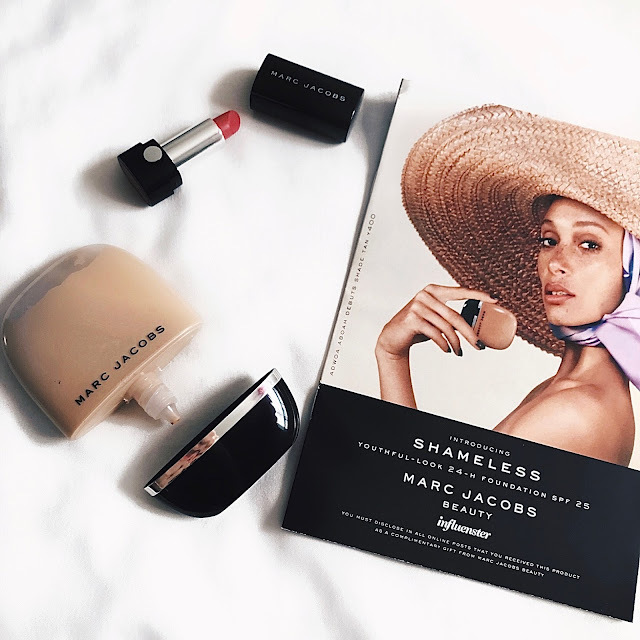 First off I’m going to start by saying I received the Shamless Youthful - Look 24H Foundation complimentary from Influenster for testing purposes so thank you so much Influenster and Marc Jacobs Beauty. Immediately I notice the packaging is simple in a classy chic way, and it’s super convenient for travel. This is great for all skin types: sensitive, normal, dry, combination, and oily. What’s really cool about this foundation is that it contains snow mushroom which nature’s super hydrator, it’s is known for its ability to hold onto water, kind of like hyaluronic acid. For my readers who don’t know what hyaluronic acid is, it basically helps keep your skin plump and hydrated for younger looking skin. I have recently found it essential in my skin care routine. I use The Ordinary, and I ordered from Beautylish. It works so well and you cannot beat the price! I've been wearing this foundation for almost 3 weeks now and I absolutely love it! 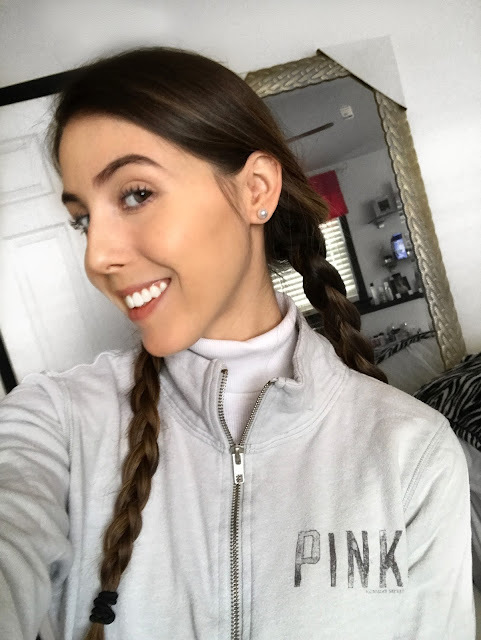 It gives a natural flawless look that lasts. It’s a light to medium coverage but it’s buildable so I would say it’s great for an everyday use. If you need full coverage though, I would suggest trying the Re(Marc)able foundation instead. Having said that, I really do love that the Shameless foundation has a wide range of 29 shades to choose from, I am in the shade Y270 which is light with golden undertones. This is a self setting foundation so no need to set with your usual powder. I've noticed that it does give off kind of a sunscreen smell which makes sense because it contains SPF 25, but have no fear because there is no flashback in your photographs. Bottom line is that I love this foundation!